Jasmine here. Today’s letter is “Q” and that stands for ‘QUEENLY” and don’t Lily and I look the part? We are the only two girls in The Tribe of Five and we take our diva roles quite seriously. Now all we have to do is to get those males to treat us with the deference and respect we deserve! And a reminder, even rescue kitties like us can be royal! 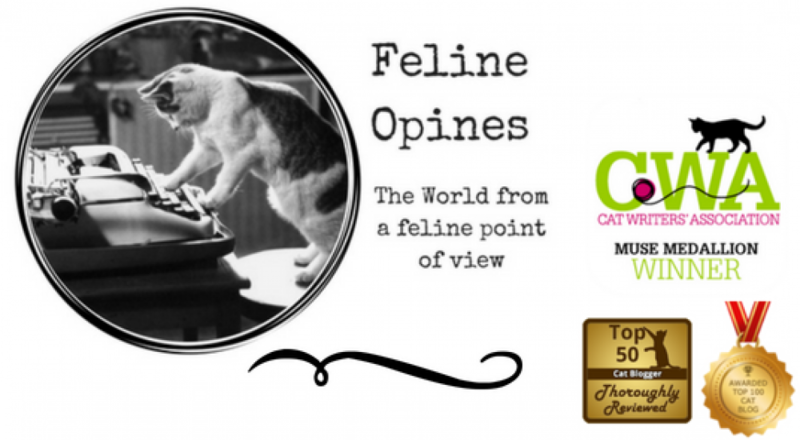 This entry was posted in animal shelters, Cat adoptions, cats, Round eyes, Siamese cats and tagged jasmine, Lily, Princess Felines, Queenly Felines, The Tribe of Five by Feline Opines. Bookmark the permalink. Thank you! We’ll head on over there! Thank you your comment made us purr! You look fabulous in your tiaras. Yes indeed. Thank you, we think this should be a regular thing and The Humans should consider some sparkly necklaces too! Why thank you, bling is our thing! You are both beautiful queens. Why thank you, we do reign over the male Tribe Members!